"Substitute this dairy-free version 1:1 in any recipe calling for sweetened condensed milk." In a small/medium size saucepan pour in the bottle of coconut culinary milk and bring to a low boil. Allow to boil for 5 minutes while whisking continuously. Lower the heat bringing the milk to a simmer. Add in the powdered sugar and continue to whisk until the sugar has fully dissolved. Add in your salt and vanilla (if using) and allow to simmer until the mixture has reduced by half -- about 30-40 minutes. 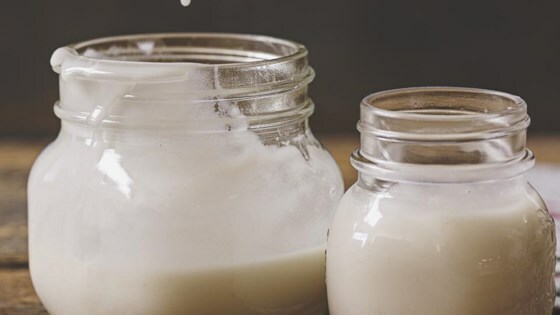 Use immediately for your recipe and store any unused sweetened-condensed milk in an airtight container for up to 5 days in the refrigerator. This recipe can be easily doubled or tripled but may need additional simmer time.